Cupcakes, Wine, Happy Hour… these are a few of my favorite things – so you just KNOW that putting them all together is going to get my attention. Bringing all these things and more to the table, Sweet Revenge in the West Village (62 Carmine @ Bedford) delivers on all accounts. The cupcakery is the brain child of Marlo Scott who, after being laid off from her corporate job in 2007, decided to damn the man and save the empire bake some damn good cupcakes. The small-ish space utilizes every square inch to fit the hungry cupcake craving masses in comfortably but I still think it’s best to hit SR up during off-peak hours. Not only will you have more room, but you can hit up the happy hour which is 4-8pm Monday-Friday and will get ya $5 beers or the very excellent deal of a glass of wine + a cupcake for only $10. The menu is pretty diverse for a cupcake joint – they serve sandwiches, salads and some breakfast foods. What really caught my eye though (besides the cupcakes – duh!) were the savory cakes. I had the Jamaican Curry cake and while I enjoyed it, it was not at all what I expected. 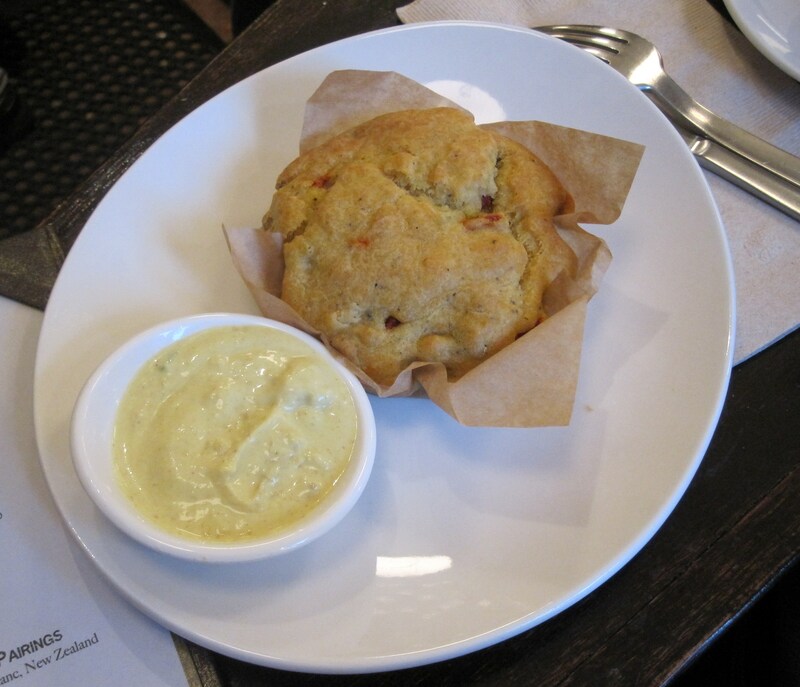 The muffin- esque cake was more like a moist cornbread with veggies baked into it – the coconut curry dipping sauce on the side was especially great. 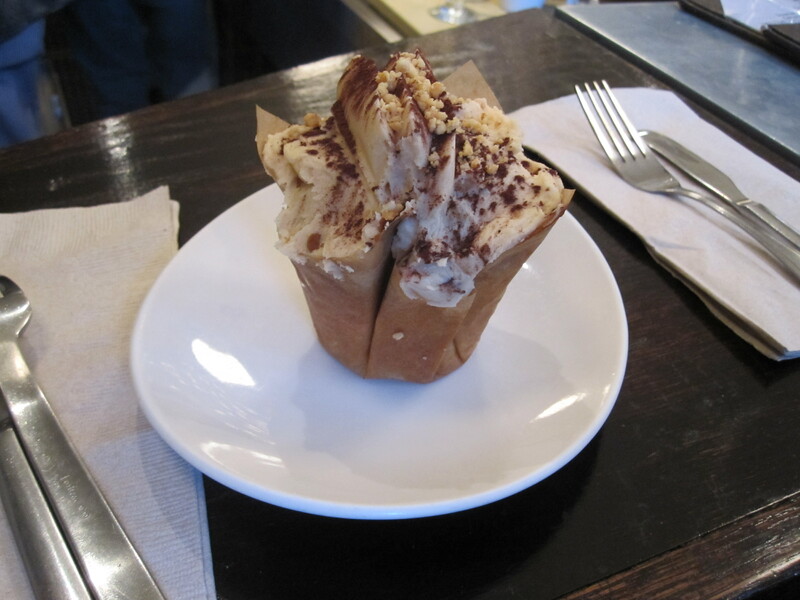 For the happy hour special, I opted for the namesake cupcake – the Sweet Revenge. Peanut Butter cake, Ganache filling, and Peanut Butter Fudge frosting. Oh Em Gee! But I must say you should definitely split with a friend because all that sweet gets a little intense. Better yet, share 2 cupcakes to switch up the flavors between bites! 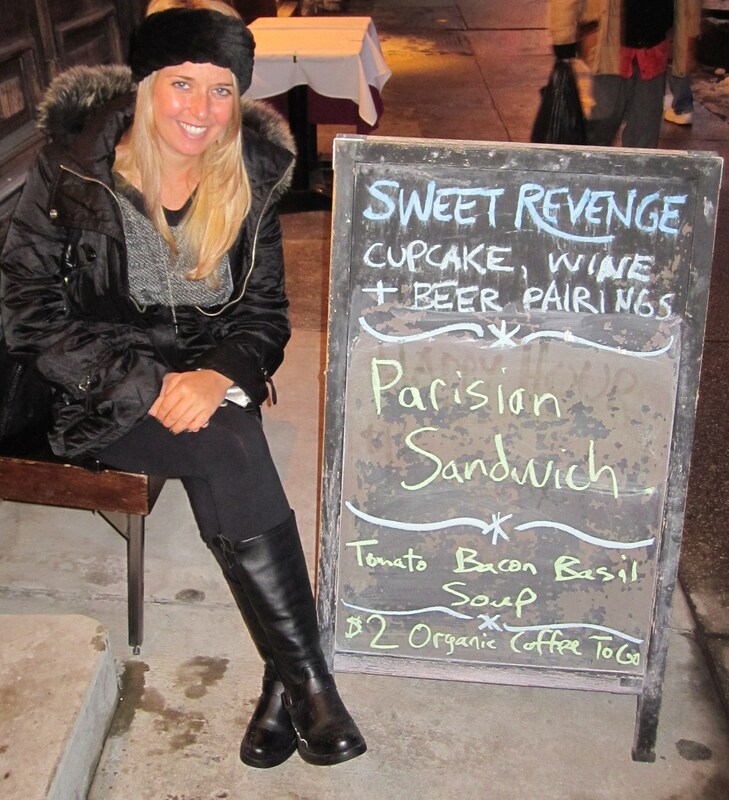 However you decide to get your sweet on, def look no further than Sweet Revenge.